Every day I receive dozens of requests in email asking for money to support candidates and causes. Normally I would not even consider reproducing one of them as an article, but in this case I�m making an exception. In my opinion, wed lost a Congressman in 2010, who was the most significant defeat for the Democratic party and the progressive movement have suffered. 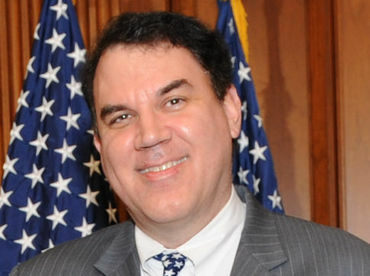 We need Alan Grayson back! Thanks TomCat--I have heard him speak on a number of occasions--he has a firm grasp of the issues affecting people's lives and how the math works so the related programs get funded without sacrificing national security and giveaways to profitable corporations. He is known as the congressman with guts and Florida desperately needs him. I contributed to his campaign yesterday. Alan Grayson and Dennis Kucinich were horrible losses for the Progressive Democrats! :( We need them SO much! I fully agree with your top comment Tom. As someone who lives in Florida I am proud to say he lives not far from here. He isn't in office now because he was doing his job TOO well! He is a fighter and we, as Floridians need to roll up our sleeves and fight for him to get back into office and stay in office as long as he is standing up against the ones who would destroy us further. I have pretty much turned my back on both Parties but I still support the individuals who stand up for the people and the Democrat principles, he does. No matter what State we live in, if you have a Alan Grayson or a Dennis Kucinich, stand up for them, have their back when they are in there fighting for you. It doesn't stop with the vote, let them know you appreciate what they do for you, thank them, financially support them where you can, and help them to stay in office. I too receive dozens of requests for donations. Wish I could support them all. (3) Taking corporate money out of politics and government. (4) Reinstituting progressive taxation, to reduce the deficit and the debt. (6) Improving labor standards, including pensions, sick leave and paid vacations. (7) Ending discrimination against minorities, women and gays. (8) Providing higher education to every student who wants it. (9) Ending the war, bringing the troops home, and reining in the military-industrial complex. (10) Reducing the brutal and pervasive inequality in American life. That is a fabulous list, one I would support, and one that could be easily adapted to Canadian politics. If you don't vote him in, could you send him our way? What a great list, could we make that a pledge for all candidates and then hold them to it, didn't think so. Still, if I lived in Florida he would have my vote for re-election. I would love to have a Grayson or Kuchinch here, I would swap out this cranky old fool we have in a heart beat. Thanks TomCat! Thnaks tom. I too get Alan's emails and have contributed to his campaign. This man has had me behind him 100% when he stood before the House and called out the Repubs on their health care plan. what he said was the Plan "called for people not to get sick" but if you did "die quickly". Great progressive and he needs to be back in his seat. Read and noted. Thanks Tom, I also get emails from Alan and if I could I would donate to him along with a lot of others, Since I am not a corporation I can afford to. He sounds a hero - and he was the target of 70 attack ads in a day? Words fail me - he MUST be good! Thanks and amen to each of you.